we’re here to remind you of a fact that will fill you with either joy or dread: football season is upon us. That’s right, even though the calendar hasn’t quite flipped to September and the calendar people assure us it’s officially summer for a few more weeks (something about solstices and whatnot), the surest sign that fall has arrived is about to assault your senses from every angle. College football starts up in earnest this week. The NFL? Just around the bend, believe it or not, with a brand new season kicking off on Sept. 7. There will soon be no escaping it. 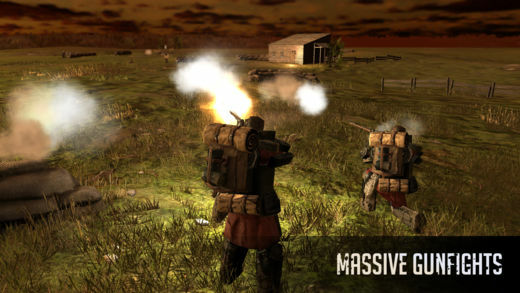 The first thing comes into mind when it comes to gameplay, The Walking Dead: March to War is mostly games like Clash of Clans clone where you need to tirelessly build up your base, recruit new AI team members, and fight with rival players on the world map. The game is lot more similar to the famous Vega Conflict, a game that bills itself as a sci-fi themed real-time strategy MMO. So if you have already played with either of those titles, you should have a good idea of what to expect here. 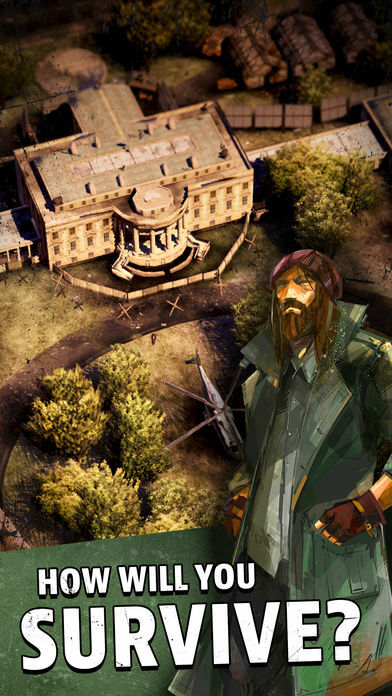 Here you are tasked with building up your base and its team by searching for materials and survivors. These survivors can have a lot of different roles, ranging from gatherers to fighters. You will send these survivors out to the map to grab materials and even fight with other players. Now, as you would expect from a free-to-play title, there are plenty of wait timers tied to each of your actions, so there is always a cost to virtually every decision you make. he survival aspects of The Walking Dead and the idea that the remaining people might be just as dangerous or more so than the walkers makes for a surprisingly compelling backdrop for a build and battle game in a “Why didn’t I think of that?” way. Disruptor Beam did, and March to War should have the studio’s usual panache for storytelling to go with an awesome but gritty art style. Looks like a must-download for fans of the franchise. Correct us if we’re wrong, but wasn’t there an arcade game a long time ago with some of these same words in a different order? Feels like there was. In any case, The Frosty Pop Corps obviously means this action-based title to be an homage to more than just one classic, because these visuals are about as retro as they get. The developers say you will need “your mad geography skills with your mad arcade skills to excel at this genre mash-up,” so maybe Invaders cares about the children. That would be nice. Mini Guns is a real-time PvP battler where it’s all about strategy, not just gun power.In this strategy game where player battle against enemies in real-time PvP combat. Play on your own in intense single-player mode, or form an Alliance with friends to play cooperative multiplayer.Minis are teeny little army men and women that you can collect and upgrade. Split into three categories (infantry, vehicles, and air), you can choose the right approach and devise the right tactic for taking down your opponent. The game Mini Guns is fimilar like f Clash Royale-type strategy battles but with planes and tanks instead of fantasy and turned sideways and you’ve more or less got the idea behind this one. 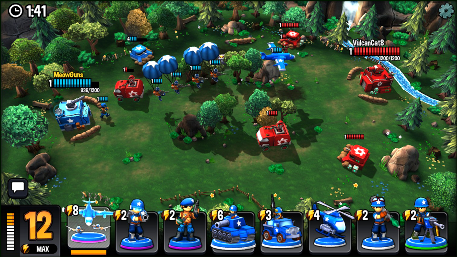 The graphics give us some Advance Wars vibes too, which is never a bad thing. If there’s an upper limit for mobile strategy games, we haven’t hit it yet, so we’ll certainly be giving Mini Guns a go. In the game the Hatchlings, from the Angry Birds Movie, along with The Blues, are preparing for a big celebration, but the pigs will once more try to ruin everything. I think we need to look deeper into the psyche of those pigs because they do seem to want to just watch the world burn for no reason. The game will have you matching things, collecting things, using things, and, overall, doing things. You can call in the usual avian suspects—Red, Chuck, and Bomb—for help when the matching gets hard, which is probably going to be quite often given that the game is free to play. 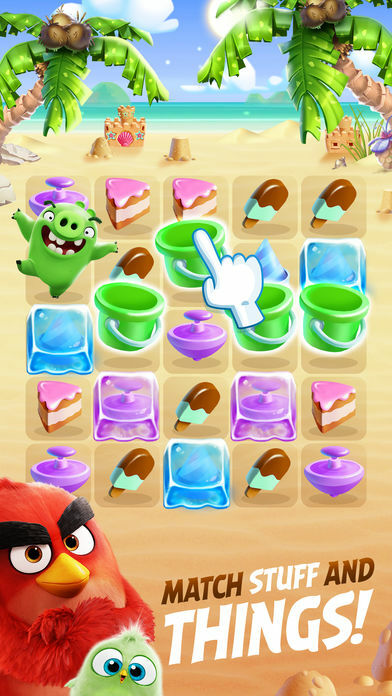 This franchise sounds vaguely familiar … can’t quite place it … oh yeah, Angry Birds! With the slingshots and the pigs and the movie and all that. Just when you thought Rovio had taken their avian creations to every possible niche of mobile gaming, the company proves you wrong with projects like this. It’s quite possibly the one millionth match-3 title out there (and should win some kind of a prize if it is), but you know it’s going to have style. Also, props for making the baby birds the focus instead of the way scarier 3D adult Angry Birds. Seriously, they’re kind of frightening at this point. I’m sure it will get people playing, since those birds are still popular and the movie has definitely helped remind people of that, but I’m not sure it will hit the numbers it could have a few years ago. If you want another match 3 game and you like those birds, give Angry Birds Match a shot. The game sees you controlling one of the titular noblemen. You’re running into battle in some steampunk alt-history of the American civil war. You’ve got an army at your back, and you’re trying to wipe out your foes. But there’s also a tactical view that you play through before you get to the scraps. Here you’re resupplying your men, capturing nodes, and trying to charge up a massive cannon in order to destroy your enemy’s base. The controls work reasonably well, but there’s no weight to anything here. Your shoots might be connecting, they might not be. The battlefields feel vast and empty, and the cover system is far from robust enough to enjoy. So Battlefield wants to take it back to World War I and Call of Duty is going back to World War II, eh? We say that’s not far enough. 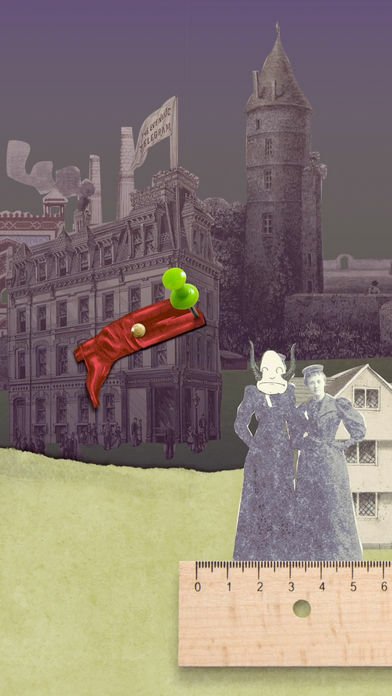 Here’s a game that goes all the way back to 1896, when men were men and guns shot one bullet at a time. But wait, this is an alternate reality 1896 with Steam Tanks, Gatling Guns and Airships. That’s pretty cool if historically inaccurate. We approve. 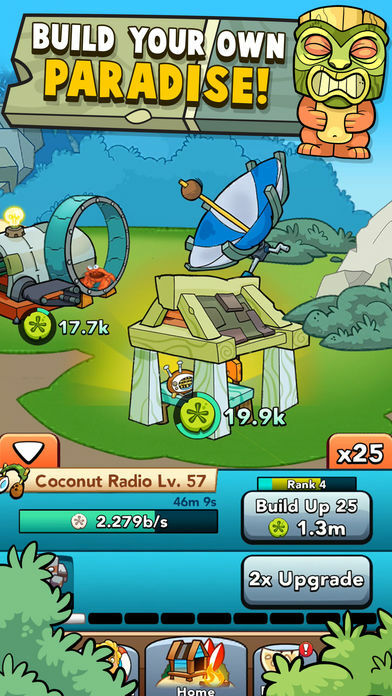 While this could easily be confused with a mobile app that gets you to the front of the line at a waterpark or helps you order drinks at some all-inclusive island getaway, this is actually the latest from Kongregate. It looks like it’s an idle tapper with some builder elements, a combination that has already worked pretty well for other titles. Fruity drink with little umbrella optional, we imagine. Sure, you can flip, but are you the Flip Master? IRL, probably not, but in this game you just might be. It’s billed as the ultimate trampoline game, and Miniclip has amassed what we can only believe is a medium-sized fortune with simple but addictive fare like this. 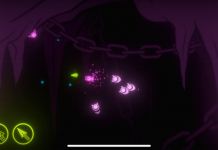 Sometimes you don’t want to think too hard when you’re doing your mobile gaming and just want to have a few minutes of fun, and this looks a likely candidate to help you with that. 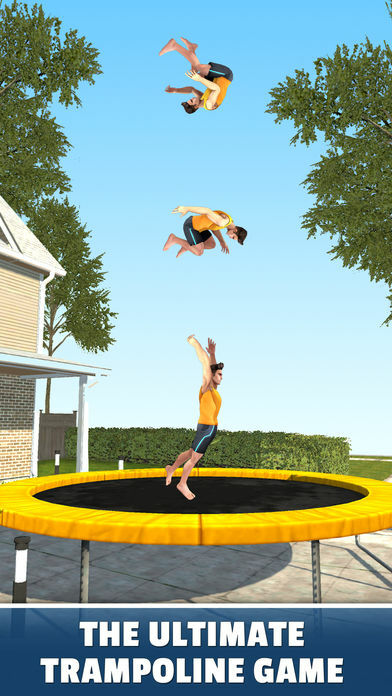 Flip Master is a trampoline game. It simulates a real trampoline scene in this game. 3-D characters and scene made you feel you are a real trampoline athlete. If you are a sports lover, this game will satisfy you. Most important is that this game is totally free. And this game don’t need a internet connection, you can also play it offline. 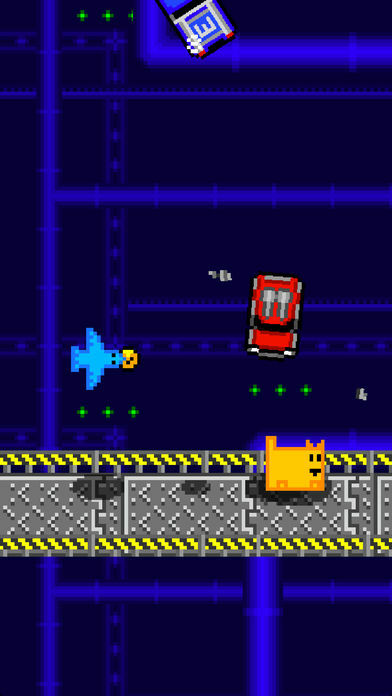 Noodlecake Studios wants to assure you that you’ve not seen the last of Box Cat. His presence in this sequel is all the proof you need. The core concept isn’t complicated, as you simply smash falling cars before they explode. 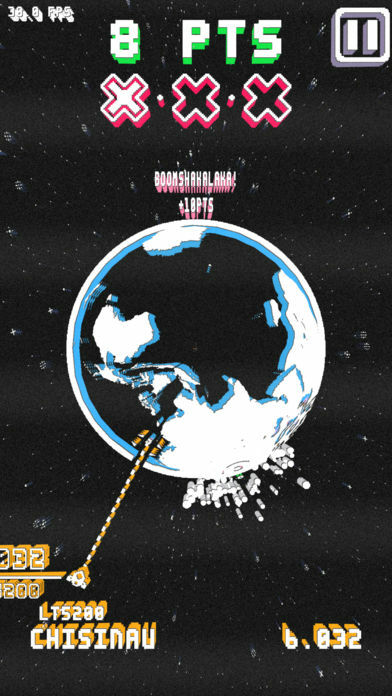 Wait … smash or explode? There are no bad outcomes there. It even offers controller support if you feel the need for more precision in your cat-based smashing. Those kinds of details suggest the developers have given this way more thought than we would have, and we’re glad for that. Previous articleRadiation City – about surviving against the odds.